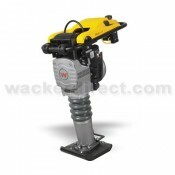 This new plates & rammer is available now from SM Plant Limited, along with other new Wacker Neuson plant. New Wacker Neuson Plates & Rammer Unbeatable compaction on any subsurface £ Price on application Enormous compaction force combined with a quick forward and reverse travel, the DPU 6555 offers an extremely high level of productivity - an all-rounder for all job sites. New Wacker Neuson Plates & Rammer 2 stroke rammer £ Price on application Developed for maximum productivity, performance and durability, the BS50-2 two-cycle rammer by Wacker Neuson is now more powerful than ever.